Visit the CVB staff at the Welcome Center at 115 E. Jefferson St. Welcome to your ultimate guide for all things Madison! Here at our blog you will find the scoop, the low-down, and everything in between! 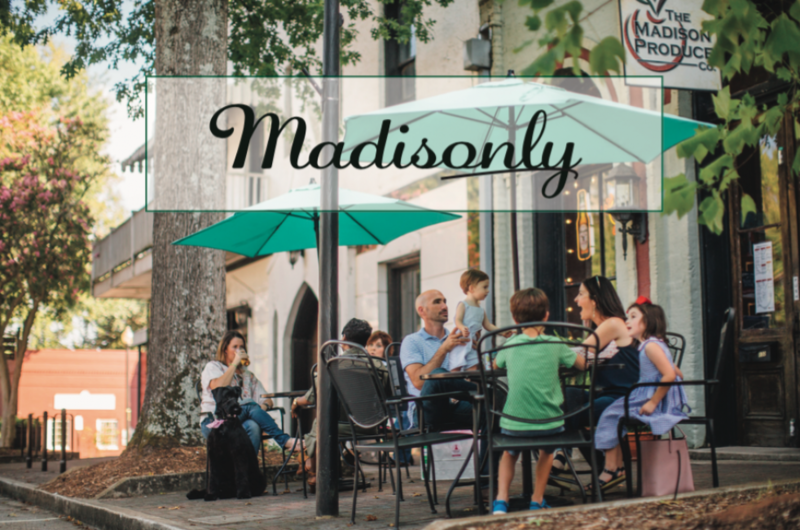 We love featuring Madison’s hidden gems, local favorites, and must-experience events! Madison has a rich history as the town General Sherman spared during his famous March to the Sea during the Civil War. Because of this, Madison is home to a collection of gorgeous antebellum homes (antebellum meaning pre-civil war). Fuel up at one of our eateries then it’s time to shop! Our historic downtown district is filled with unique eateries and boutique shops. From Mediterranean inspired cuisine to your classic meat and three restaurant- Madison has something for everyone! Come to Madison for a romantic weekend getaway and stay awhile in one of our charming B&B’s. Mosey around downtown in our shopping district or head out to Hard Labor Creek State Park for camping, golfing and more. Keep checking back for more content as we highlight Morgan County and Madison!